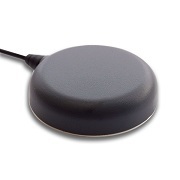 The Tallysman TW3500 is a professional grade permanent mount circularly polarized antenna. It is designed and certified for the Globalstar Simplex Tranmit Unit (STU) modem. The Tallysman TW3500 is a professional grade permanent mount circularly polarized antenna. It is designed and certified for the Globalstar Simplex Tranmit Unit (STU) modem. 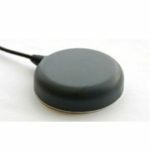 The TW3500 antenna is equipped with a dual-feed patch element and offers an excellent axial ratio for the complete frequency band of Globalstar. Therefore, the signals at the edges of the band will remain circular. The TW3500 has a weatherproof housing that allows it to work in harsh environments. It is suitable for applications that are used for container tracking, military, STU, fleet management and asset tracking, marine & avionics systems, as well as law enforcement & public safety. Furthermore, the TW3500 comes with a TNC-Female jack that allows the STU modem to be installed remotely but continue to provide reliable coverage of Globalstar signals. 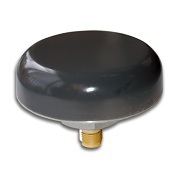 The TW3500 antenna from Tallysman Wireless is available at Blue Planet Geomatics. If you have any question, please dont hesitate to send us your questions by completing the Request Pricing form.